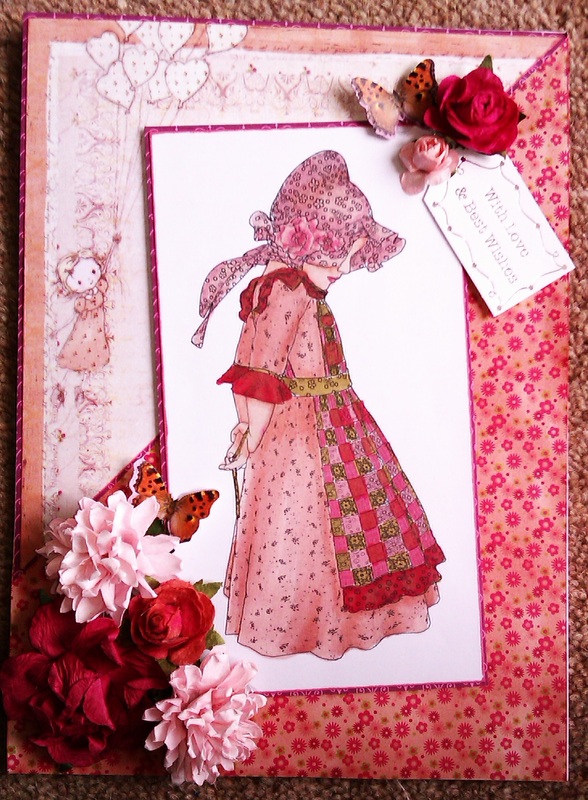 I am planning to make several variations of this card over the next month or so and I have bought some lush Mo Manning stamps too.. Here is my first. 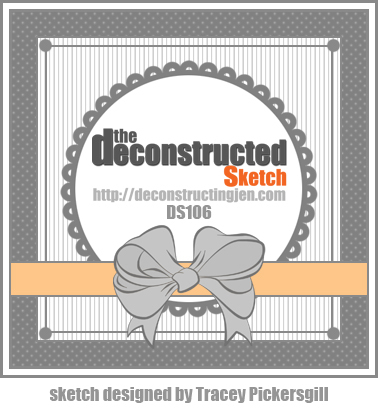 I adore the artwork of the fabulous Jade Dragonne – thank you Jade – and this digi is no exception. 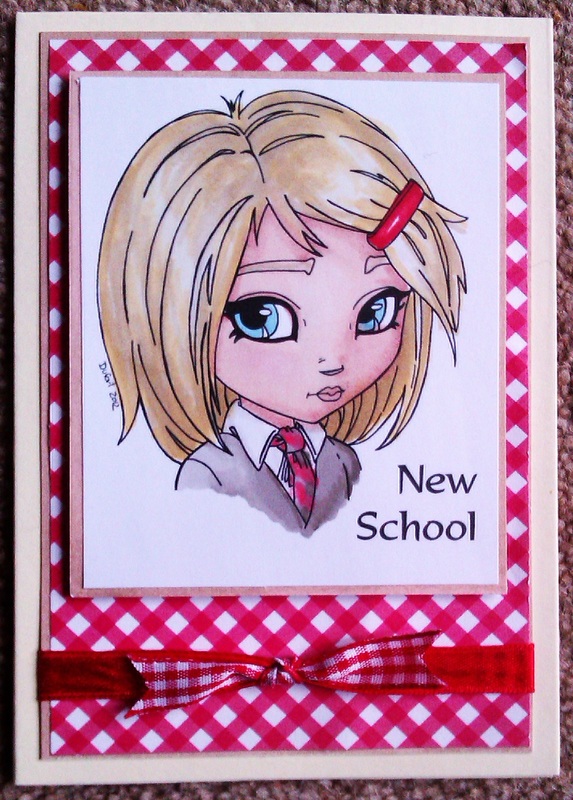 She was coloured using Promarkers in the colours of my chldren’s school and the result is perfect for a very excited little girl! 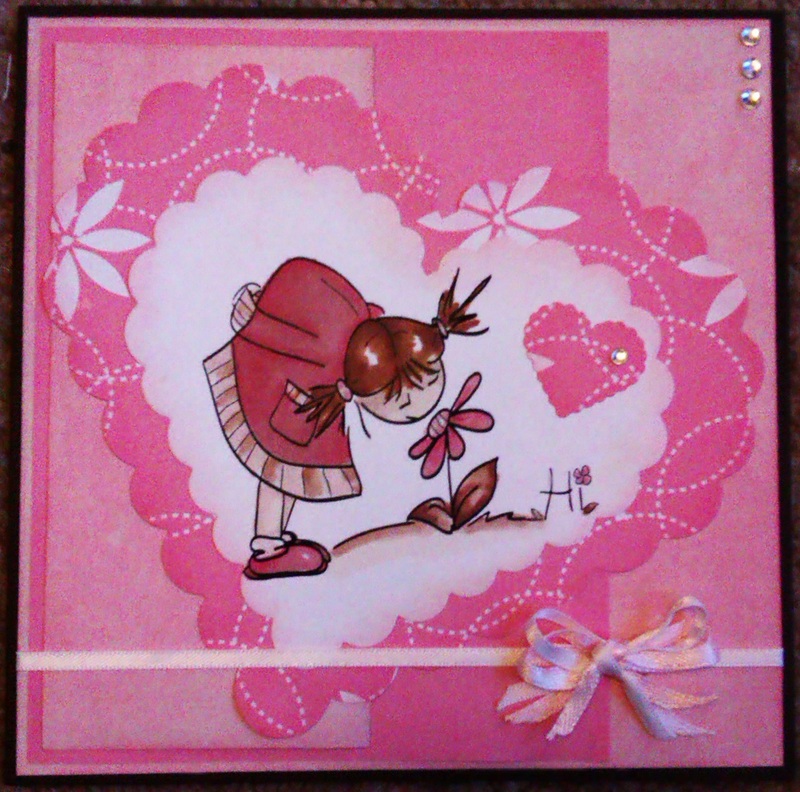 Here is a card made with a Saturated Canary digistamp andand coloured with Promarkers. Her hair is cool grey 1 and 3 and her skin is satin and blush. Her dress is forest green, meadow green and apple. 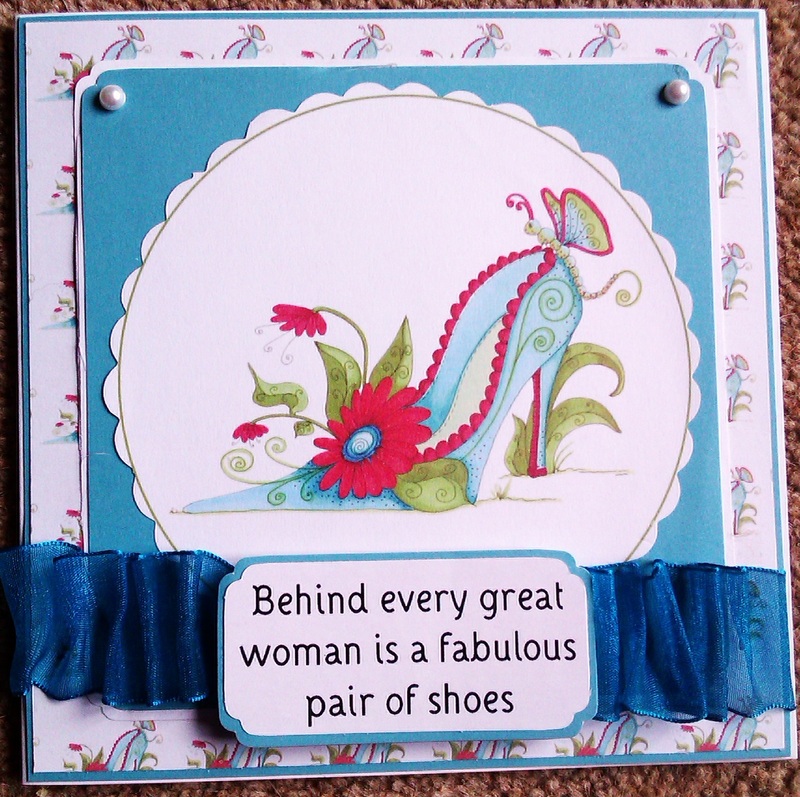 The pre-embossed backing card is from Crafters’ Companion and the sentiment from Emma Cromwell @ Docrafts. I love the final effect of the rosette behind the sentiment. This is a Spellbinders tree with the trunk cut off. The image and the 6 x 6 card are both mounted onto silver mirror card. It is unusual for me to work wholly in green and I love the effect – hope you do too! Hello! 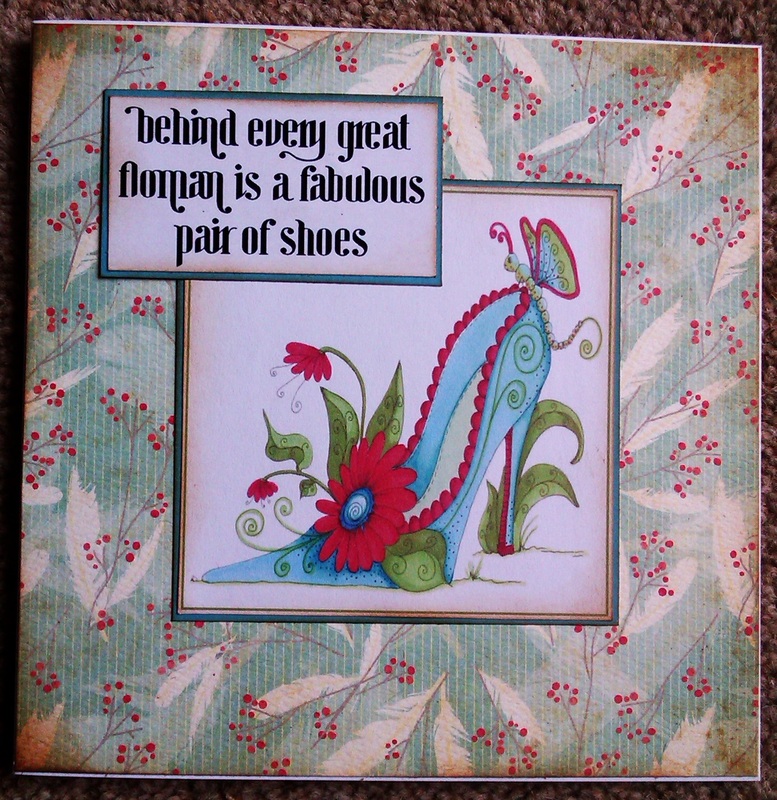 I have a cracker of a card to share with you today. 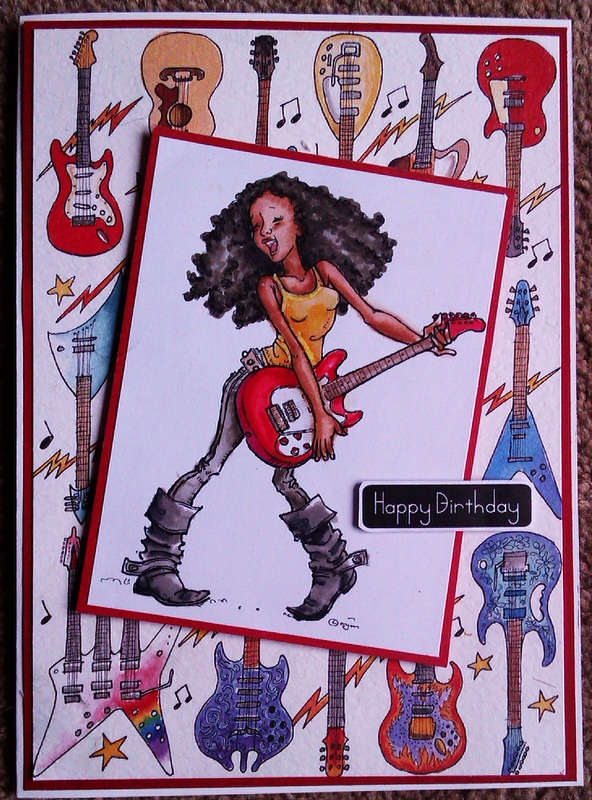 I really love this digistamp from Mo Manning. 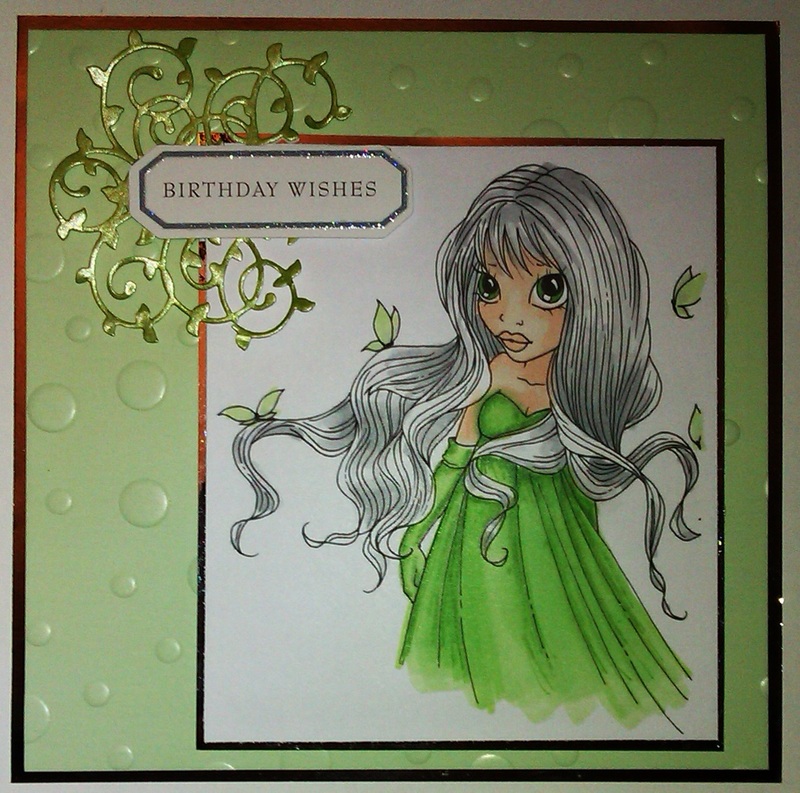 I coloured her with ProMarkers, then backed her with a recycled card front.